The agency had earlier said it had arrived at the value of the assets seized based on the stock value at showrooms and stores, which was also the price at which the company purchased the goods. 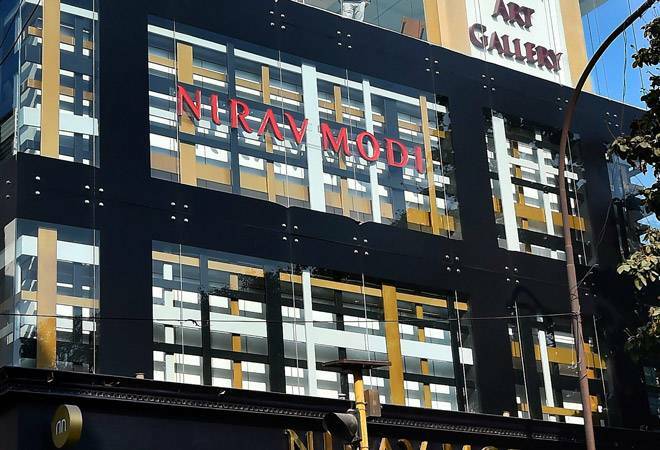 Raids by the ED in connection with its money laundering probe against diamond czar Nirav Modi and others in the alleged Rs 11,400-crore bank fraud continued for the third day today with the agency saying it seized Rs 25 crore worth diamonds and jewellery, taking the total seizure value to Rs 5,674 crore. "The ED conducted further searches at 21 locations across India in Nirav Modi case and seized diamonds, gold, precious stones/metals and jewellery worth Rs 25 crore (book value). The total seizure till now is Rs 5,674 crore," it said in a statement. It was also conducting an "independent valuation" of these assets. The Enforcement Directorate had yesterday summoned Nirav Modi and his business partner and jewellery chain promoter Mehul Choksi in this case. They have been asked to appear before the Investigating Officer of the case at the ED office in Mumbai on February 23. According to the Central Bureau of Investigation, Nirav Modi and Choksi left the country in January, before an FIR was registered in the Punjab National Bank fraud case. The raids that began on February 15 are expected to continue tomorrow, ED officials said. ED sleuths are also in touch with a former government-nominated director of a state-owned bank, who was a reported whistleblower in this case, as part of its investigation, they said. The agency also filed a fresh money laundering case yesterday, taking cognisance of a new CBI FIR against Choksi and his companies. The ED had first registered a PMLA case against the two, besides others, on February 14 based on a CBI FIR, on the basis of a Punjab National Bank complaint. The agency is probing if the allegedly defrauded bank funds were laundered and these proceeds of crime subsequently used by the accused to create illegal assets and black money. Diamantaire Modi, 46, a regular feature on the lists of rich and famous Indians since 2013, was booked by the CBI, along with wife, brother and Choksi on January 31, for allegedly cheating the state-run PNB to the tune of Rs 280 crore. The bank subsequently sent two more complaints to the CBI on Tuesday, saying the scam was worth more than Rs 11,400 crore. The jewellery designer is understood to be a citizen of the country but his brother Nishal and wife Ami are not Indian nationals. They all left India between January 1 and 6, the CBI had said.